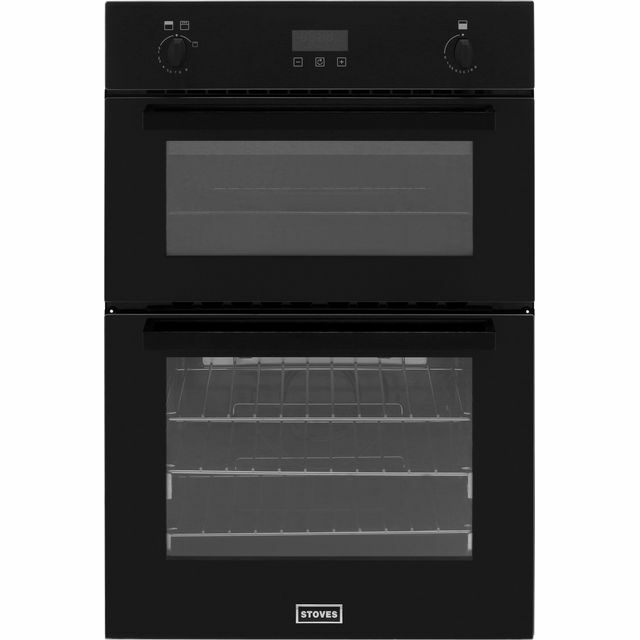 Get your new oven fitted the same day it’s delivered with our connection service. Our Gas Safe-registered engineers will disconnect your old appliance for you before getting your new one completely set up and ready to use. We’ll unpack it and give it a full health check first, to make sure everything is in tip-top shape, and we’ll give you an official gas safety certificate too. Before you order our connection service, there are a few things you should know and a couple of things to check. Take a look at our helpful gas cooking installation page for more information. 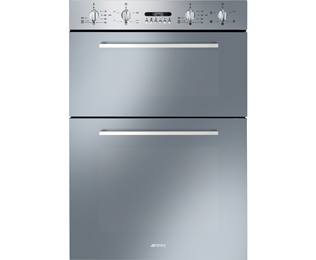 Effortlessly prepare your favourite recipes with this stainless steel gas double oven from Stoves. 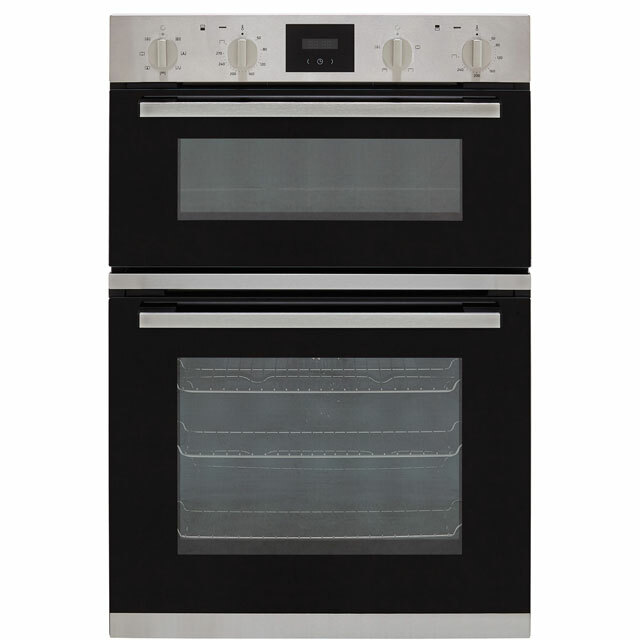 The main conventional oven circulates heat evenly across every shelf, so your meals are always thoroughly cooked. 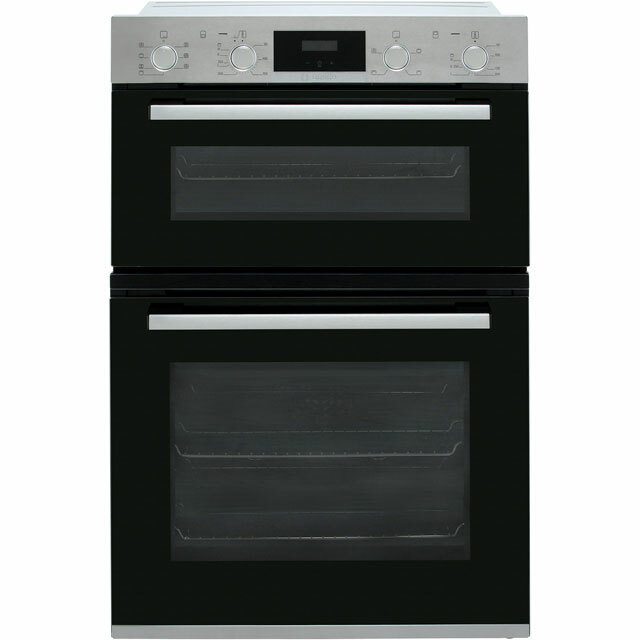 It also has a second conventional oven with a handy grill setting, which is great for giving your dishes the perfect crispy top. You’ll always be able to keep track of your cooking, thanks to the minute minder timer that lets you know when it’s time to serve your feast. Cleaning up is made easy too, as the grease-proof enamel interior is left spotless with a simple wipe. This model is designed to fit at eye level.
! So far we’ll impressed ! Easy to clean , just wipe with a cloth , very quiet . 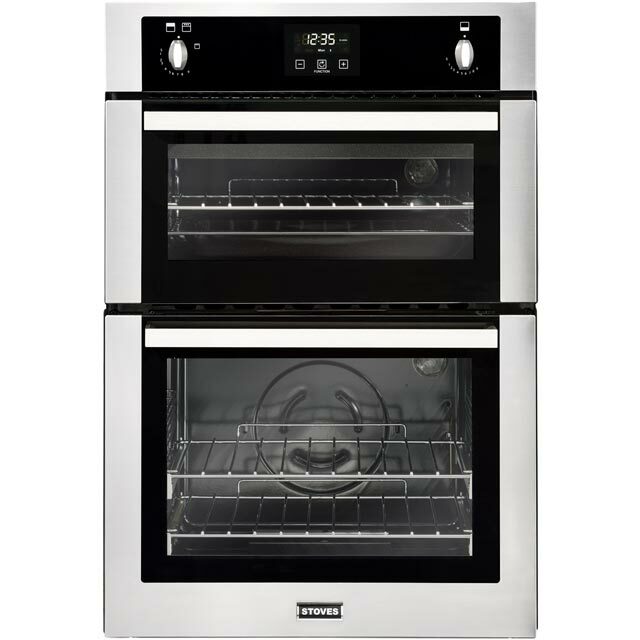 Heats up quickly !first time I’ve ever had a double oven with electric grill ! I thought the grill would be very slow but once heated it grilled surprisingly quickly . My family are impressed especially having the second oven when cooking for a large family meal , 5 stars ?? This oven is brilliant I love it. I’m a little disappointed that the grill pan doesn’t come with a handle and that you have to order it from the spares shop. The first cooker arrived however didn’t work. No replacement for 4 days!! Second cooked has worked so far. Nice looking oven, well made. Stainless steel finish looks nice in kitchen. Pleased with my purchase.